THE Golden Hill Community Garden has been voted ‘Best in the South West’, as part of the Royal Horticultural Society’s ‘It’s your Neighbourhood’ campaign. 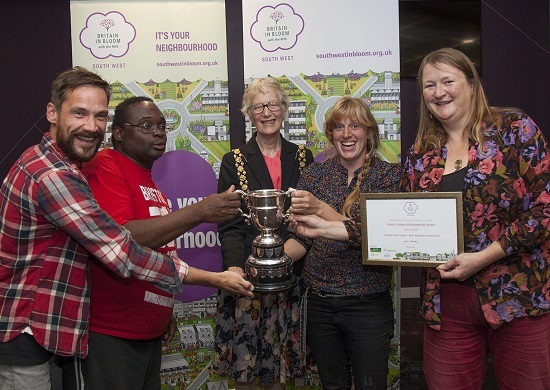 The much-loved community hub – located at the allotments off Bishop Road – claimed the Gordon Ford trophy at the recent South West in Bloom awards, for their commitment to projects and green endeavours. There were over 500 participants in total in their category. GHCG opened in 2012 and has since become a hub of gardening activities for community groups, neighbourhood schemes and local schools. Spring 2015 saw the opening of the Bishopston Bale House, a straw eco building made with renewable materials and built using traditional methods. It is used by charities, local organisations, schools and toddler groups, and provides space for gardening talks, demonstrations and shelter during outdoor activities and fairs that take place on the site throughout the year. The site’s eco credentials have been further boosted by a solar powered water pump which draws water from an underground well to two rain water tanks at the top of the site. They can pump around 500 litres an hour to the community garden and allotments without the need for mains water. 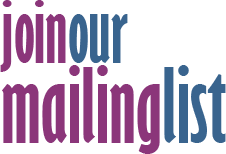 Denise James, secretary of South West in Bloom, said: "There are over 520 ‘It’s Your Neighbourhood’ schemes throughout the South West. “This just goes to show how wonderful this project is and is a great asset for the community and those who benefit from it. Golden Hill Community Garden project will also be nominated by South West in Bloom to receive a national certificate of recognition at the RHS national awards ceremony next year. Monica Whyte, co-ordinator of Bristol in Bloom, said: “[We] were absolutely delighted with the splendid achievements attained by the 36 community initiatives from all across the city that entered the RHS South West in Bloom 'It's Your Neighbourhood'. “We were most especially pleased by the wonderful recognition for the Golden Hill Community Garden, not only in getting the top assessment of 'Outstanding' but also in being awarded the 'Gordon Ford Trophy' for the 'Best Neighbourhood Entry' from across the entire South West region – an amazing accolade.